We’re very excited to announce that the Costa Brava Tourism Board has arranged for some pre and post TBEX day trip excursions. 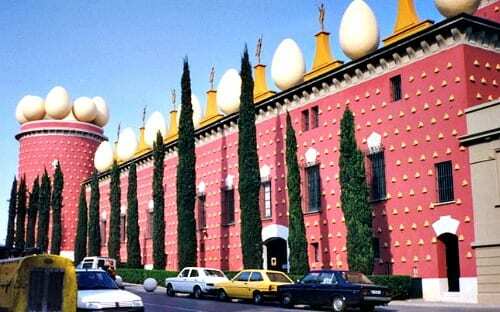 There are two options for Thursday, September 20th: A visit to the Dali Museum (in photo) followed by a visit to a wine cellar, and a trip along the coastal path from Calella de Palafrugell to Llafranc, a boat trip from Llafranc to Palamós, and a cooking demonstration and lunch in Palamós. There are two options for Sunday, September 23rd: A excursion in the Nuria Valley up in the Pyrenees, and a visit to the botanical gardens of Marimurtra in Blanes, a boat trip to Lloret de Mar, a typical Catalan lunch in Lloret de Mar and a visit to Cala Banys. These day trip excursions are FREE to registered TBEX attendees. (If you aren’t registered, go take care of that and then come back here to make your choice.) Because we know many of our attendees will be traveling to Spain with family members or other traveling companions, the Tourism Board has agreed to allow a registered blogger to bring a non-blogger guest. Travel bloggers must register for themselves and may not list another travel blogger as their companion. These structured tour are suitable for adults only, no children. These free trips are available on a first-come, first-serve basis, but can only accommodate a limited number of participants. We will create a waiting list in case of cancellations. Head on over to learn more about these trips and to sign up for them. I’m confused. The link to “sign up for them” referring to the Thursday and Sunday day trips goes to the page with the 6 multi-day trips which are *not* first come first serve. Where do we sign up for the Thursday and Sunday day trips? Dave, you and I have the same question. I just posted mine on the page with the 6 trips, so I expect there will be an answer soon.